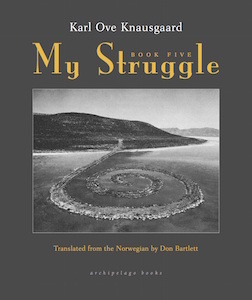 The fifth book of Knausgaard's My Struggle series. As a nineteen-year-old, Karl Ove moves to Bergen and invests all of himself in his writing. But his efforts get the opposite effect - he wants it so much that he gets writer's block. 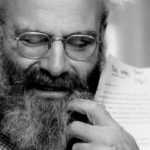 His banal epiphanies satisfy because of his acknowledgment that life includes the random, the inexplicable and the unbeautiful. He understands rogue happiness. 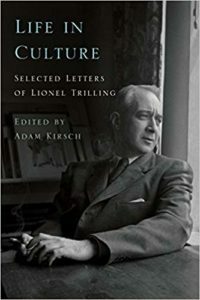 This perverse attention to what other writers ignore is part of his charm ... the eerie thing is that, at times, it is as if we are not within the pages of this book at all, but outside it and in his confidence. We understand that he is ambitious to write a novel that will make his name and we suppress, as we read, the acknowledgment that this achievement, this extraordinary work of which he has been dreaming, is the book we hold in our hands. There are moments in My Struggle: Book Five that drag. Once or twice, I wrote 'Help Me' in the margins and doubled down on the double espressos. These were small eddies in an onrushing river. The critic James Wood has captured my sense of Knausgaard: 'Even when I was bored, I was interested.' My Struggle is fundamentally a confessional work, and Karl Ove has admitted, in Book Three, that he is writing in part to exact revenge on those who pitied, dismissed or bullied him. He wants to return home a literary champion, someone who is impossible to ignore. As we await the concluding volume in this series, it’s a reminder, for those who still need it, that great impulses are not required to make great art. This fifth volume feels more insular than the others, but that’s where Knausgaard has always been at his best. The inner life inspires him. It’s what gives the sentences their urgency. He’s the rare writer who has made self-absorption work for him. What did you think of My Struggle: Book Five?